What I was surprised when I talked with my friend recently was that his hobby is “visiting ruins”. On his day off he visits ruins with a camera in his hand. I wonder what’s so interesting about ruins but I heard another surprising hobby that is popular among Japanese people recently. The person who has the hobby is called “haka-mairar”. “Haka-mairar” literally means “tomb visitor” and it refers a person who visits tombs of famous people as a hobby. It is quietly boom in Japan. The purpose of “haka-mairars” are diverse; for example, some people want to see the tomb of a great man who he or she respects, or others want to visit a tomb to express his or her gratitude. 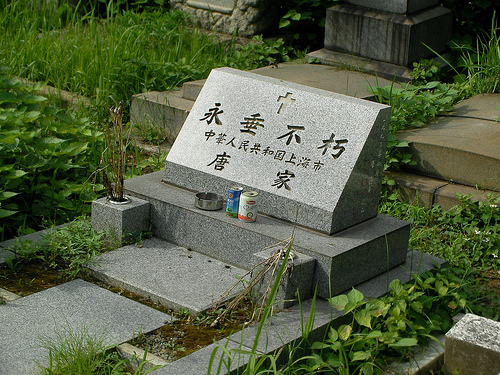 in Yanaka cemetery in Taito, Tokyo. 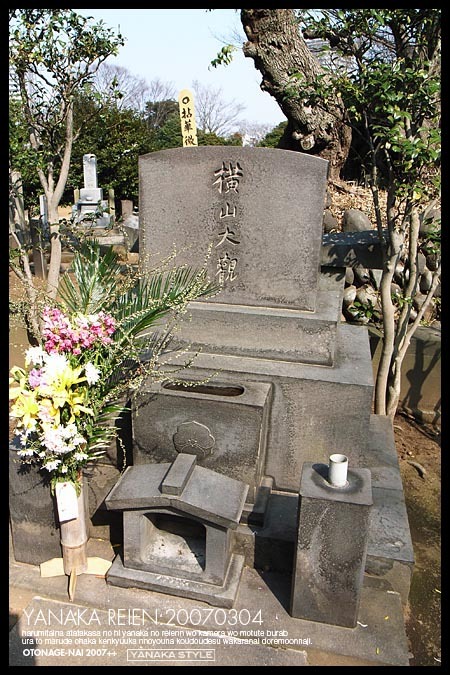 It is surprising that some salary-men go business trips and visit tombs around the area. 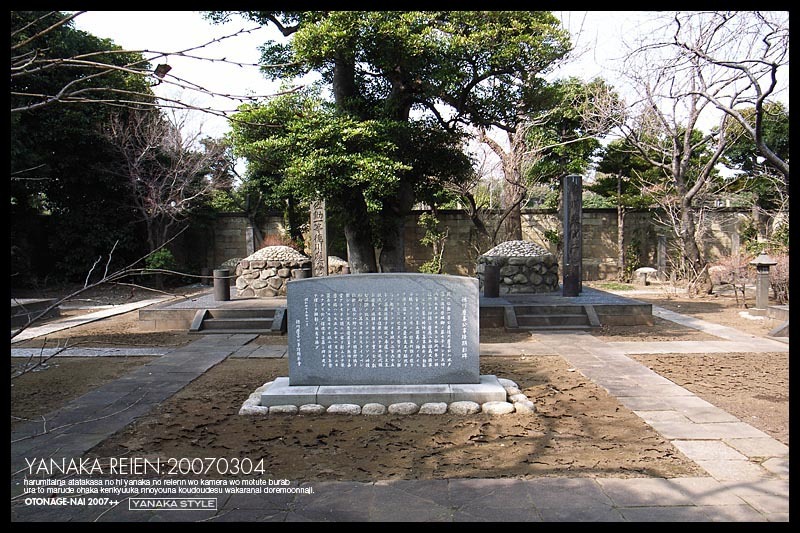 [W:Yokoyama Taikan] in the same cemetery. What the great thing about this is that they don’t go alone but the people who have the same hobby get together and they all visit a tomb, and enjoy talking about the topic. In March, there was a talk show in [W:Odaiba], Tokyo, where charismatic “haka-mairars” met and talked about the fascination of tombs. Spreading of twitter made a great contribution to them holding those events. I have peeked in on the “haka-mairars” twitt but it was a deep world LOL. By the way, are there those “haka-mairars” in your country? Maybe I just didn’t know but visiting the great people’s tombs is a usual act in the world.